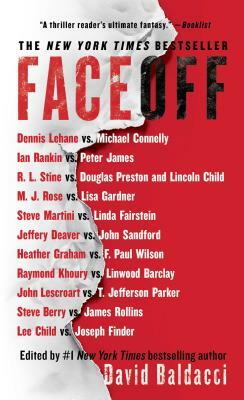 Faceoff is a compilation of short stories edited by David Baldacci. This book is great because each short story has two characters who are often the heroes from their own series who faceoff (or work together to take down the bad guy). 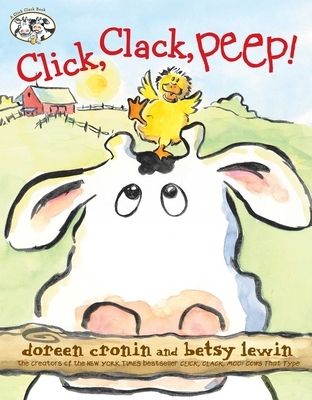 Short stories are so much fun when it is a new story with a beloved character or a great story from a new author. I loved how riddled this book is with some of my favorite mystery authors. When Jack Reacher walks into a bar in Boston to watch the Yankees take on the Red Sox, I knew something fun was going to happen. Nick Heller was sitting two stools away and within a couple of innings they had figured out the man sitting between them was trouble. I loved seeing how each of the characters sizes up the situation and helps in their unique way! I thoroughly enjoyed Cotton Malone meeting Gray Pierce in the South American jungle while they were each on the same assignment. Working together the two take care of business and in just a few pages are on their way. 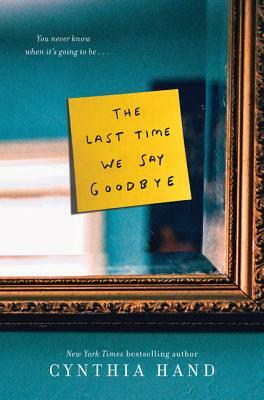 It amazed me that the authors can create such a seamless story together and still stay true to their own characters and writing style. And on the creepy side was R. L. Stine’s Slappy the Ventriloquist Dummy against Preston/Child’s Agent Pendergast in a gaslight story of the weirdest kind. There is something for every mystery fan in this book. 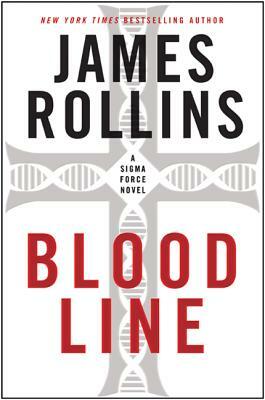 Bloodline by James Rollins is the latest novel in the Sigma Force series and what an incredibly gripping, and at times terrifying, story. The president’s pregnant daughter is kidnapped by pirates off the coast of the horn of Africa. Due to the sensitive nature of the mission, Sigma Force is recruited to find her. Before long Sigma realizes that they have stumbled onto an even more sinister plot than kidnapping the president’s daughter. They discover people are trying to create immortality through manipulation of genes. This was an intense, but exhilarating, read. I found myself desperate to get back to my book after I set it down. 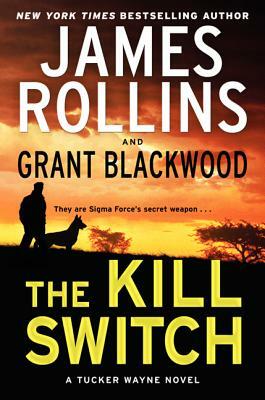 Rollins always does such a fantastic job with incorporating technology and science into his thrillers, and this was no exception. It was fascinating and frightening to learn what his characters were doing with people’s genetics. I am sure there is more truth than I want to know about in this technology. Rollins is so adept at writing fiction with cutting edge science, which is one of my favorite things about his style. I also thoroughly enjoyed Kane, one of the newest members of the Sigma Force, who happens to be a dog. It was fun to see the mission through his senses and his camera. 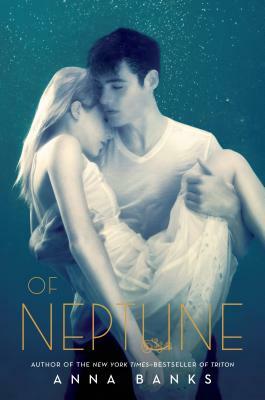 Overall this was a great read and I am ready for the next book in the series. James Rollins will be at the Tucson Festival of Books on March 9th and 10th. He will be signing at our booth (#127-#130) on Saturday March 9th from 2:30 PM to 3:30 PM. Be sure to stop down and get your autographed copy.